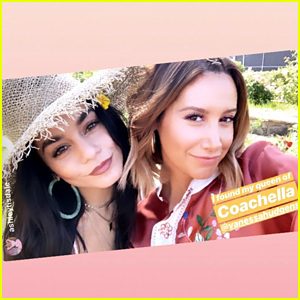 Vanessa Hudgens Dances Up a Storm for ‘In the Heights’ Rehearsal (Video) | Vanessa Hudgens | Just Jared Jr.
As most of us probably won’t get to see Vanessa Hudgens in the Kennedy Center production of In the Heights, we’re so excited to see this rehearsal footage! The 29-year-old actress danced up a storm in the studio while rehearsing the song “The Club” on Tuesday (March 13) in New York City. Vanessa is playing the role of Vanessa in the production, which will run from March 21-25 in Washington, D.C.
Hamilton star Anthony Ramos is set to play the role of Usnavi, originated on Broadway by the show’s creator Lin-Manuel Miranda.